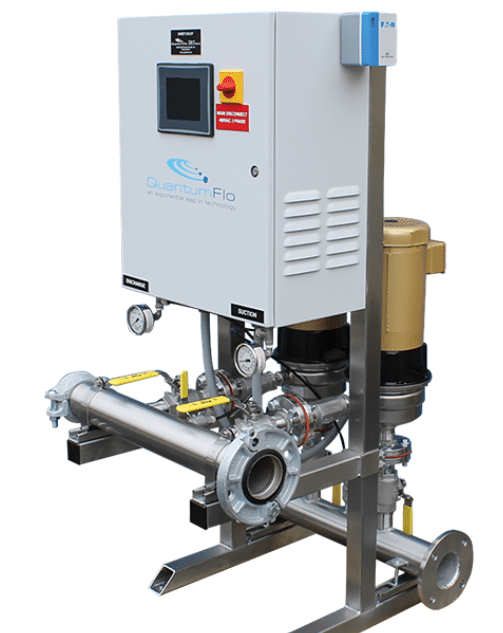 QuantumFlo’s innovative, customizable systems offer solutions for many industries including architecture, Construction & Development, Turf & Irrigation, Hospitality & Institutional as well as many other Industrial and Commercial organizations. The Genius Series is a highly compact, customizable package designed for LOW FLOW – HIGH BOOST applications. 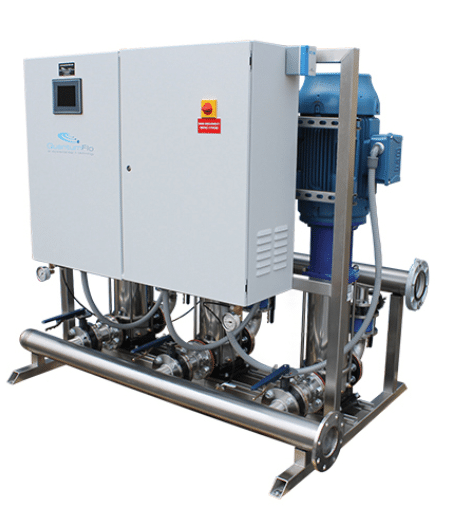 It features NSF 61 Rated, 304 S.S. multi-stage pumps with 304 stainless steel casing, shrouds and impeller. All controls are protected within a NEMA 3R forced-air ventilated enclosure with inlet filter and NEMA 4X active incoming surge suppressor with LED indicator. Visit QuantumFlo to learn more today! The Prodigy system is our variable speed, duplex booster system specially designed to compete with low-cost constant speed packages. The Prodigy series pump system features include stainless steel end suction pumps, color touchscreen controls and enclosed panel-mounted variable frequency drives. an economical alternative where the terrain doesn’t permit the use of gravity sewers. (courtesy Quantum Flow) Click HERE to learn more about Quantum Flow’s innovative Prodigy System.